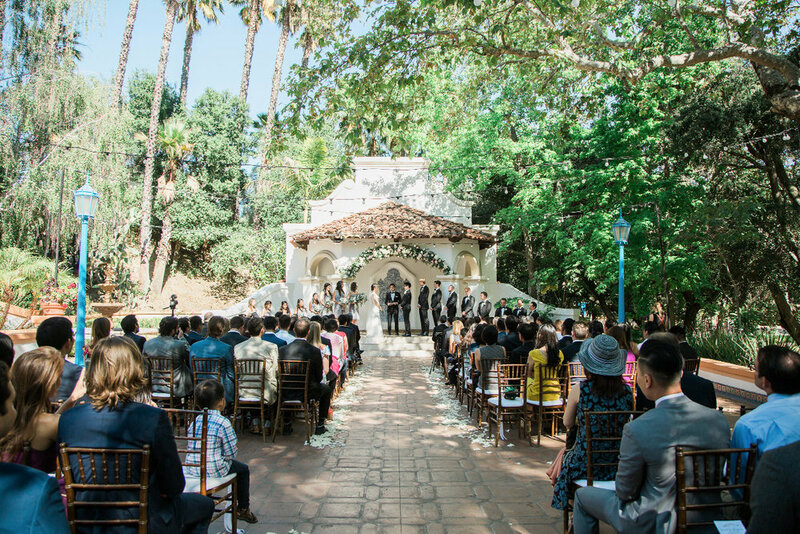 They held their wedding at El Teatro open air theater in Rancho Las Lomas, Orange County, California. It was a black tie affair with a summer twist. The venue was stunning and Michael did an incredible job of making sure that the party started at the reception. Initially Janet and Bryan were nervous about planning the wedding states away but Michael put them at ease with every FaceTime meeting. One of the aspects of Behind the DJ Booth that sets them apart from the competition is their ability to cater to out of town couples. Their clear and responsive communication, professionalism, and assurance to accommodate each couples’ needs makes deciding to work with Behind the DJ Booth an inevitable decision. With this particular wedding since the bride, groom, and so many of their guests were from out of town they continued the party at an indoor location, the Grand Salon. Michael made sure to adjust the mood of the music from wedding reception to an after party club feel, complete with hip hop trap music to EDM. The newlyweds partied long into the night with their friends, family, and co-workers from all across the nation.